New information sheets for Myeloma CDX! Check out the new Information Sheets for our CDX preclinical tumour models of Multiple Myeloma (MM)! Elsa Kress will represent Antineo at the Forum CLARA in Lyon, on April 4th and 5th 2019. Please don’t hesitate to contact us for a meeting! You can fill the form below and we will get back you. Check out our Non-Hodgkin’s Lymphoma CDX tumour models! Now online, the Information Sheets for our NHL CDX models, including Follicular Lymphoma, Mantle Cells Lymphoma, Diffuse Large B-Cells Lymphoma and Burkitt’s Lymphoma. New tumour models datasheets for AML! Now online, the Information Sheets for our Acute Myeloid Leukemia CDX models! 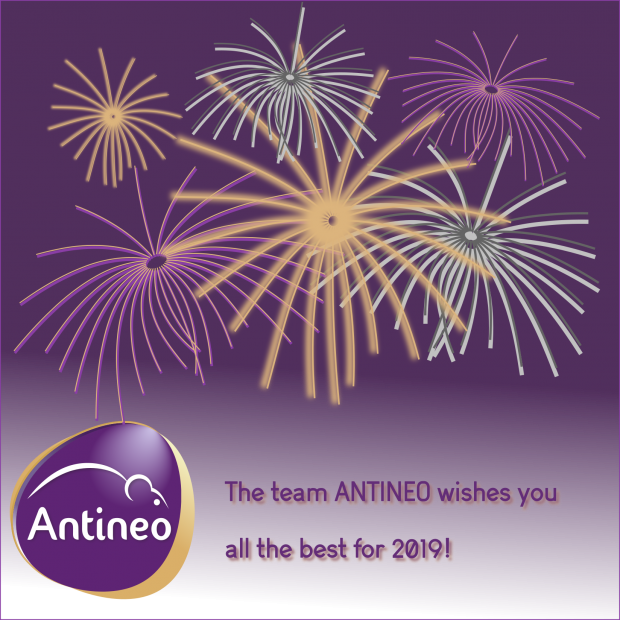 The team Antineo whishes you a year 2019 full of success and new projects! Check out the new Information Sheets for our CDX preclinical tumour models of Acute Lymphoblastoid Leukemia (ALL)! Our cancer models join the offer of Repositive Personnal Shopper Service! We are very excited to announce that our offer for preclinical cancer models are now included in the Personnal Shopper Service of Repositive! They will also soon be searchable on their Cancer Model Platform!